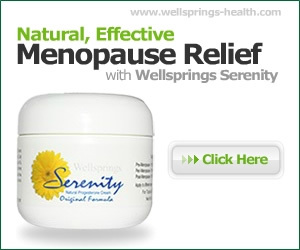 Are you having signs of menopause, or is it just a temporary symptom? Knowing what to look for means you can start to take action. Does Menopause Give You An Itch? Are You Suffering Vaginal Discomfort? Menopause can start earlier than you think with women experiencing signs of change from their mid-40’s onwards, and even earlier in some cases, as our fertility starts to decline. If you have had a hysterectomy, then that is a surgical menopause and can result in immediate symptoms and even with the ovaries left in there will be a decline in hormone levels. Technically it is isn’t menopause until you have had no periods for at least a year and the perimenopause stage where you experience gradually falling and fluctuating hormone levels can last upwards of two years before a woman’s final period. However it is not uncommon for women to also experience symptoms such as hot flushes well past menopause as other factors such as stress and continuing hormone imbalance, particularly oestrogen dominance, may well still be present. Which of these 34 menopause symptoms do you have? You may experience none, a few or a lot but most women do have some symptoms with the most common being hot flushes, night sweats, irregular periods, loss of libido, mood swings and vaginal dryness. What can confuse the issue is that some of these symptoms are also common at other times of life, particularly as we get older. The most important thing is to first notice and be aware of the changes that are occurring so you can take action. Hormone imbalance, particularly after withdrawal from long-term HRT use or hysterectomy, can bring on quite severe symptoms almost immediately. For most women it is more gradual with symptoms that may not seem related specifically to menopause, so pay attention to any symptom that persists or becomes more severe. Being overweight and having little exercise always impacts your hormones and their performance so check you are a healthy weight and having regular, enjoyable exercise whether that is in a gym or walking, gardening or dancing – all of which are highly effective if done regularly. If your symptoms relate to oestrogen dominance then tackle that first by supplementing with bioidentical natural progesterone to get your hormones back in balance and protect you from the increased risks associated with menopause such as heart disease, strokes and breast cancer. The declining hormone levels, if you are not oestrogen dominant, can mean you start to experience more skin and vaginal dryness and see more signs of aging. In this case you need some oestrogen as well so use a combination bioidentical cream with oestrogen that is well balanced with progesterone.